This weekend we are in Columbus watching our nieces while my brother and his wife are on a small getaway. So here we are in a house with three girls running around and playing. What a perfect opportunity to enjoy today’s pumpkin theme: Pumpkin Beer! Tonight I am drinking Smuttynose Brewing Co’s Pumpkin Ale. I don’t have a pretentiously sophisticated palate so I can’t eloquently describe the “bouquet” the beer provides. It’s good and I think it has the proper amount of pumpkin and spices. I don’t think it has much to distinguish it from other Pumpkin beers. But, the case has provided me with some useful brewing history: “In Colonial Times, Brewers sought to extend their supply of costly imported malt with locally grown ingredients such as squash and ‘pompions'” So it’s not just a fun seasonal drink, it’s an American Tradition. I can picture Benjamin Franklin brewing up some pumpkin beer. Speaking of tradition, my pumpkin beer drinking normally starts with Buffalo Bill’s Brewery Pumpkin Ale. It’s not my favorite but it’s usually pretty good. I couldn’t find it this year. So I started this year with Post Road Pumpkin Ale. I thought it was good as well. I think I like my Pumpkin Ales to come in as plain a box as possible. Just a simple picture of a pumpkin on an nondescript label. I am not even sure if these breweries offer any other types of beers. It’s like they just appear in fall and disappear after Halloween. 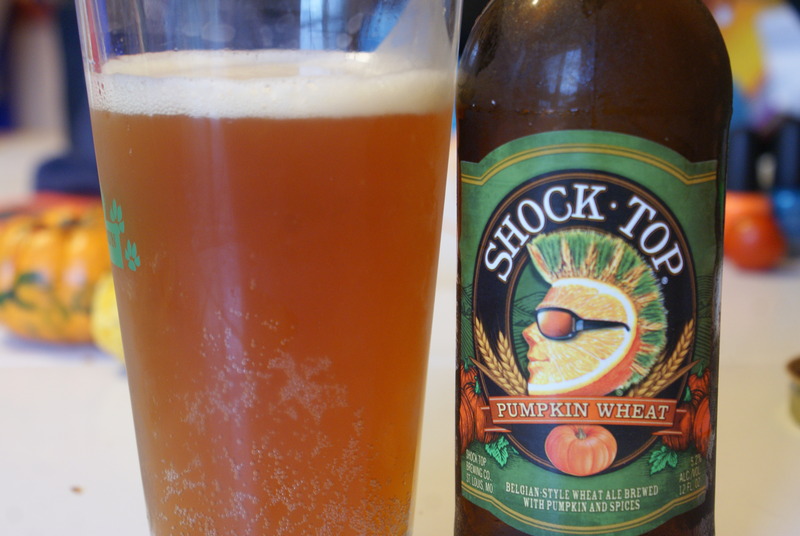 The next one I tried was Shock Top’s Pumpkin Wheat. I like wheat beers in general so I was expecting to love this. At first I wasn’t impressed. It wasn’t until I got to the last one of the pack that I saw the instructions for serving. It suggests pouring all but 1/2 inch into a glass, stirring the last bit and then pouring that in. I was skeptical, but I gotta say, it changed the way it tasted. I thought it was great after that. I am going to try to remember that for future pumpkin beers. 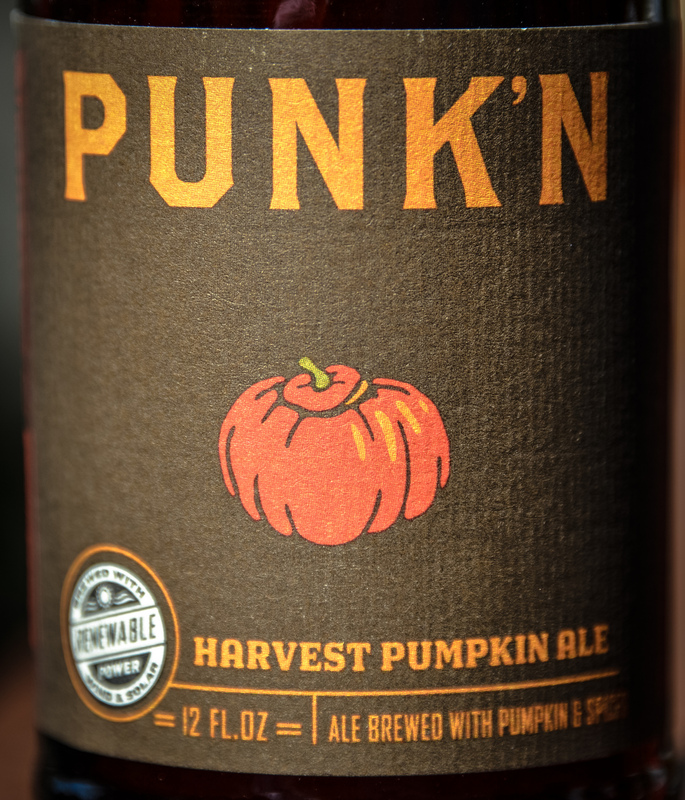 The last pumpkin beer I had was Unita Brewing’ Punk’n. Sarah picked it up for me and she must have been in tune with my brain because she picked the nondescript label with a simple picture. I think this one is this year’s winner. I know Sarah liked it and I liked it as well. The truth is I loved them all. Pumpkin beers are my favorite and nothing beats an ice cold one on a crisp fall day. Tomorrow, if the weather cooperates we will be going to the Circleville Pumpkin Show. We haven’t been since Penny was super tiny.